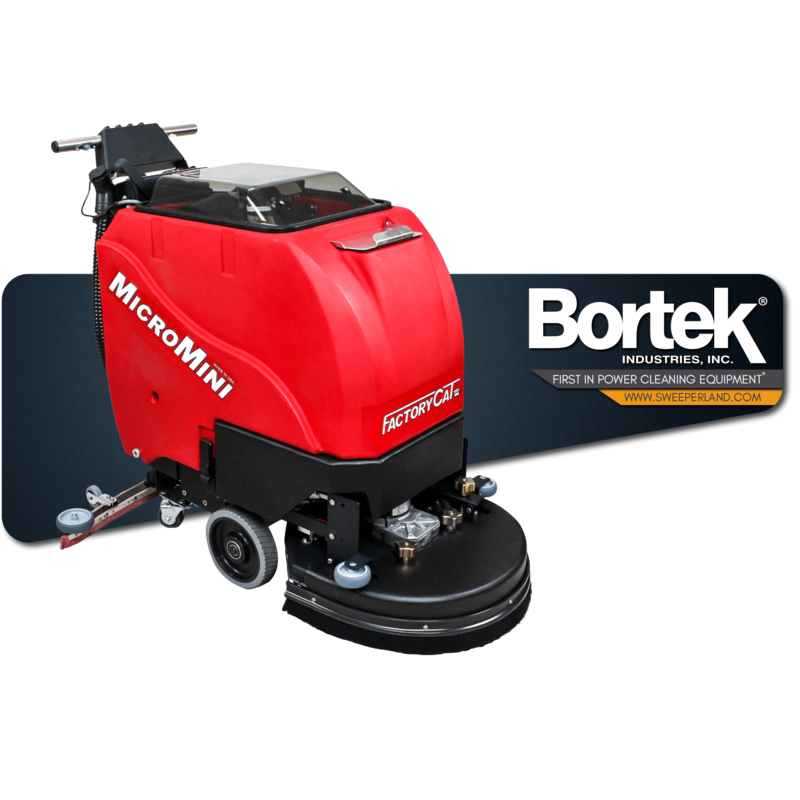 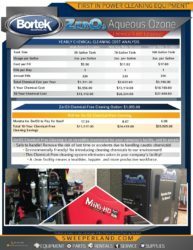 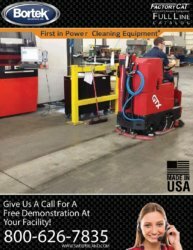 Factory Cat MicroMini Scrubber - Bortek Industries, Inc. 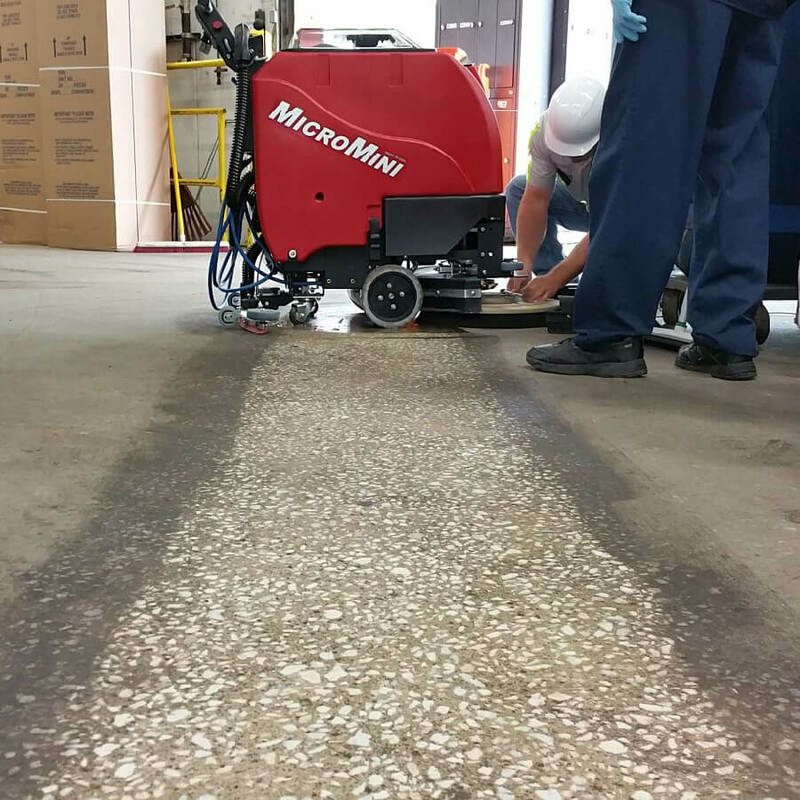 The Factory Cat MicroMini Scrubber is known for its simple design and durable construction, offering unmatched value for the customer. 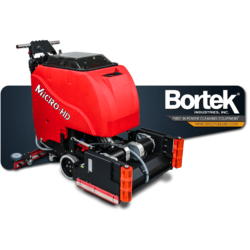 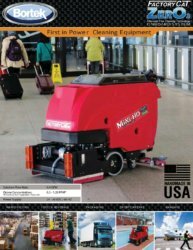 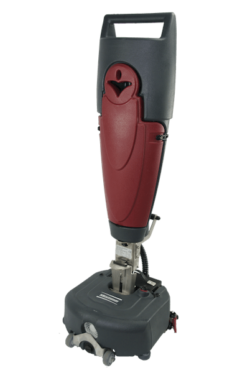 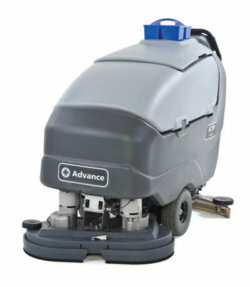 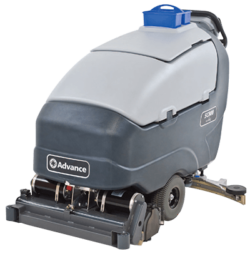 The MICROMINI Walk Behind Floor Scrubber comes equipped with a Traction drive which includes a powerful all-gear transaxle for climbing ramps and max operator ease or a Pad Assist version.